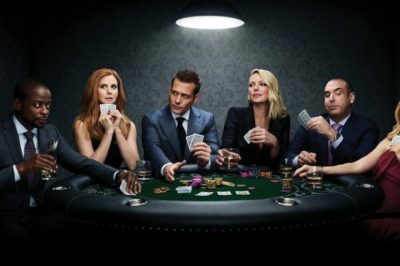 There’s some good, but also bittersweet, news coming out this morning regarding the future of Suits — USA has confirmed that there will be a season 9. Suits season 8 finale spoilers: How big is it going to be? Suits season 8 returns to USA with new episodes this week and there are going to be some big twists from start to finish. It’s been a rather long wait, but come Wednesday night Suits season 8 episode 11 is finally going to arrive on USA! It’s taken a good while for the Suits spin-off featuring Gina Torres to get an official name — or at least one that stuck. Suits season 8 spoilers: Is Daniel Hardman coming back? Is Daniel Hardman coming back to Suits for the second half of season 8? Based on the latest promo that we’ve seen, it could happen. 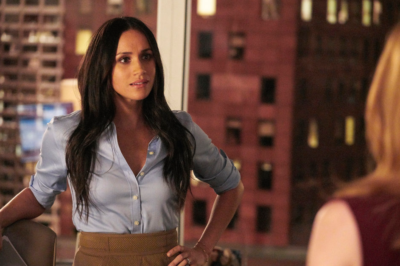 Apparently, today the British press has determined that it would be really fun for Meghan Markle to return to Suits, even for a small cameo. 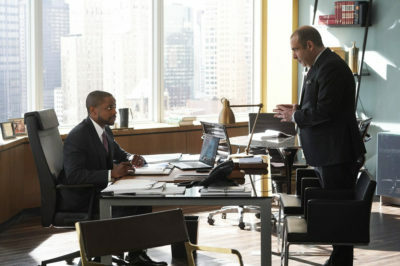 Suits season 8 episode 11 photo: Is Louis ready for his new gig? Later this month, Suits season 8 episode 11 will air on USA and hopefully with that, answer some questions. Are you ready for Suits season 8 to come back on the air on USA? We certainly are, and we’ve got a fun look behind the scenes! As we move into Suits season 8 and its big return in the new year, what do we want to see for the majority of its characters? Suits season 9 renewal hopes: Should we expect news soon? Even though there are still some episodes still to come on Suits season 8, it’s never too early to start looking beyond that!